It seems as though Lt. 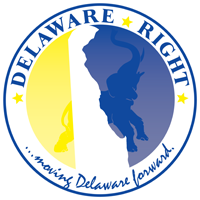 Governor Matt Denn (D), wants to take Delaware deeper and deeper into the federal hole. It also seems as though he is attempting to look like a governor, maybe for his 2016 primary run against his as yet unknown, (wink, wink) Democrat challenger. Mr. Denn, at a meeting of the, Work Force Investment Board floated the idea of having the state of Delaware pay 90% of a new hire’s wages during a training period, if, the new hire had been unemployed for more than twenty-six weeks, and if the business employs less than fifty people. When I first heard this as a news report, my first reaction was, “we are going to need a lot of toll roads to pay for this”. But it seems that the federal government will be paying for it, and since we here in Delaware don’t pay federal taxes, this won’t affect Delaware tax payers at all. Right? This plan is already in effect in Delaware, but the state only pays 50% of the wages, and so it is not widely used, so like all Democrats, when spending the tax payer’s money doesn’t gain the result hoped for, what do you do? Why you spend more of the tax payer’s money of course. 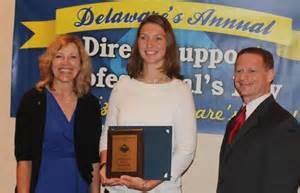 It seems as though all that is keeping Delaware from implementing this wonderful waste of tax dollars is federal approval from the U.S. Dept. of Labor, and we all know how the federal government hates to waste tax dollars. So some may be asking, “what’s the problem here?”, sounds like a good way to stimulate hiring. Well one problem is that it can be seen as being opened ended. One of the provisos of this monumental feat of fascism is that the state will continue to pick up the tab for 90% of the employee’s wages as long as the employee is receiving specialized training from, who? The employer. And what defines “specialized training”? This is nothing but a blank check for unscrupulous employers to soak the state and federal governments, and in doing, the tax payers. All they need to do is to continue to “TRAIN”, these employees and they get basically free labor. Now they do have to commit to retaining the employees past the time that the wages are paid by the state and the training period. There are other problems as well. This is nothing more than another unfunded mandate. If employers are in a position of need to hire new employees, due to an increase in work or sales or whatever, then they should have already factored in the cost of the new hire and whether they can afford the cost. If they cannot afford the cost of the new hire on day one, what makes them think they will be able to afford the cost on day ninety-one? And if they cannot afford the cost on day ninety-one, what happens when they have to let that employee go? Remember, they have “COMMITTED”, to the state to keep this person on past the training period. How long are they forced to keep this employee? Forever? Could this lead to employers being forced to let employees go who were not hired under this program, but who have been with the company longer, and who are more experienced? What does that do to our work force here in Delaware? An even larger problem, in my view anyway, with this plan, is that it would invite both the state, and federal governments, deeper, and deeper into private businesses, business. Do you think that the state will simply hand out these checks to employers with no documentation of who is hired and for how long? Do you think the federal government will simply send money to Delaware without stats on how it is spent? No. What this will end up being is an open invitation by the employers for the government to come in and take control of your book-keeping, your hiring and firing practices, in essence, your businesses. If you don’t believe it, just look at your local school districts, they take state and federal money and have lost all control of the decision-making process. My advice to small business owners who think this is a good idea for them, think again, that is unless you are tired of running your own business and simply want the state to take over. One has to admit, this proposal by Lt. Governor Matt Denn does make him look like a governor, a real Democrat governor for sure. 3 Comments on "Lt. Governor Matt Denn, Deeper And Deeper"
Sooo, If I understand this correctly the state will pay 90% of a new hires pay till the training stops? A plumbing or electrical shop could write off 90% of EE’s wages for the entire 7 year aprenticeship? What if they refuse to test at the end of 7 years? What if they fail the test? 90% subsidy forever? The idea was prolly well intended, but like all things Govt. it was poorly executed and will be frought with deceptions. Spend, spend,spend. That’s what Socialist-Democrats do. Everything the Socialist-Democrats touch turns to crap…Solyndra, Fisker, FIAT (the former Chrysler), “fast and furious,” and of course, BO Care. Didn’t Our Little Red Star say that Bush was a “traitor” for amassing huge deficits? Well then, what does that make him? And if BO’s foreign policy has brought international “respect” for the United States, why did Putin just spit in his face? This sort of legislation beats fixing education in Delaware, fixing the Transportation Trust Fund scandal, fixing the size of government in Delaware, fixing DELDOT or fixing the rampant killing in Wilmington. More feel good programs which rely on the belief the government with tax dollars can do more than an individual can do with hard work and a desire to do better. ← Why A Toll Road Representative Atkins?